Scroll down to the end to see some adventurous variation ideas to the basic soups. Let me start by stating that the best pumpkins ever are those you grow yourself: YUM! By experimenting with different-sized pumpkins, I have found that the ones that make the best-tasting soups are the smaller sized varieties that some people call “Baby Bear” or “sugar pumpkins” because they provide more flesh than seeds and are not as stringy as some larger pumpkins. 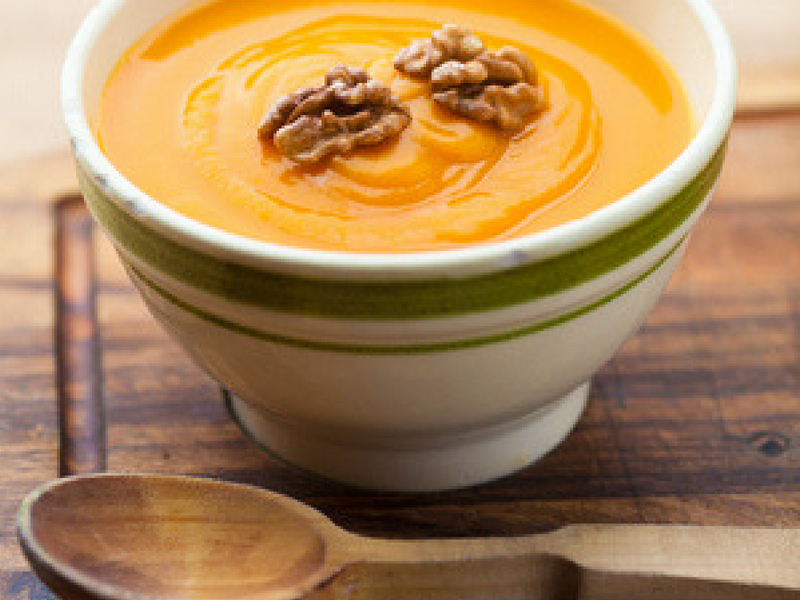 The mellow flavor of pumpkins goes with all kinds of things to make delicious and healthy soup recipes. Extremely simple to make and super healthy, this classic pumpkin soup is entirely gluten-free and vegetarian as well. This delicious zesty pumpkin soup is packed full of flavor and spice. If you like heat, this is the soup for you. The perfect autumn pumpkin soup that pairs wonderfully with sage. 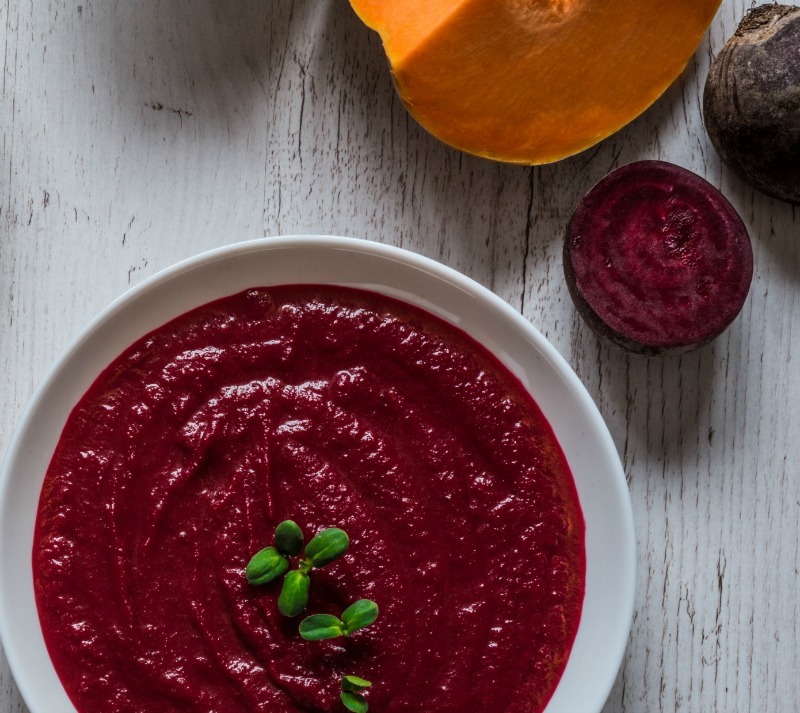 I love the deep red color of this pumpkin beetroot soup. Take all the “thyme” you need when making this flavorful soup. 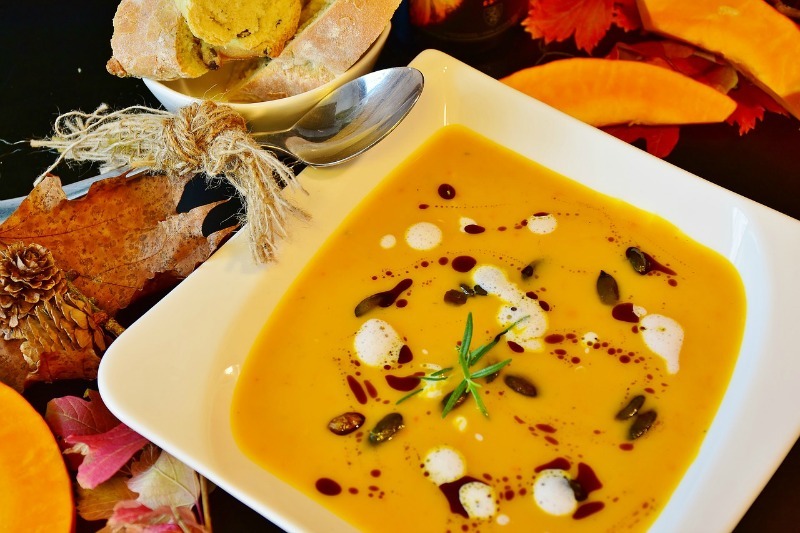 If you are looking for a festive and fun way to eat your pumpkin soup, this recipe is the one that you’ve been searching for. This is the perfect soup to sneak in a few of those extra veggies for your children. Split Peas & Pumpkin Soup – A truly great flavor pairing of peas and pumpkin. Creamy Roasted Pumpkin Soup – this is one of the heartiest and most filling soups that you can make. Perfect for the winter months! 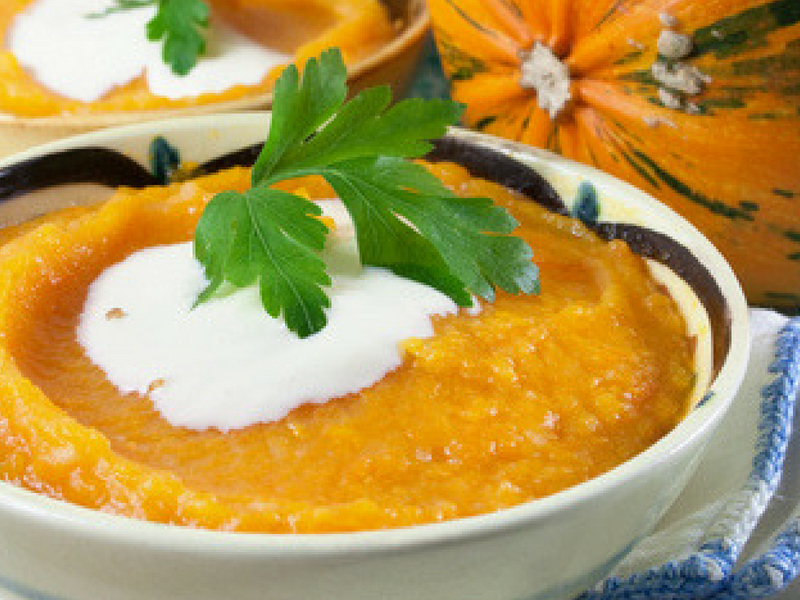 Lisa’s Pumpkin Soup – Perfectly savory and topped with a nice dollop of Greek yogurt. Fresh Pumpkin Crockpot Soup – Making a soup in the crock-pot has never been easier. Pumpkin Brocolli Soup with Cheddar – Packed full of broccoli and cheese, this soup is an absolute must-try! Super Cheap Roast Pumpkin Soup Recipe – A great recipe for a delicious pumpkin soup that won’t break the bank! Roasted Pumpkin and Root Vegetable Soup – A total comfort meal in a nice, neat little soup bowl. Thai Pumpkin and Coconut Soup – If you love the flavors of Thai, this a must-have recipe for your cooking collection. Easy Chai Crock Pot Pumpkin Soup – Seasoned by a chai tea bag, this recipe is truly delicious. 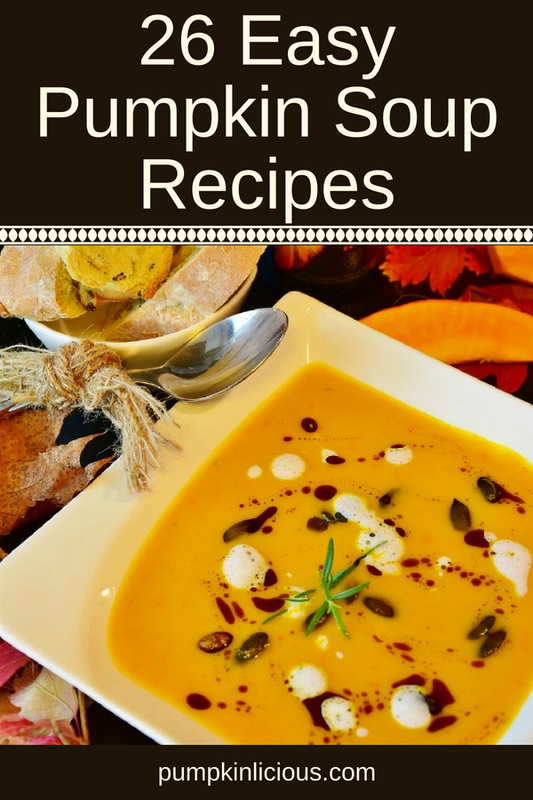 Savory Pumpkin Soup – Sip and savor this pumpkin soup from start to finish! Spiced Roast Pumpkin Soup with Garlic Croutons, Feta, & Crispy Fried Sage – This pumpkin soup really packs on those toppings! Vegan Miso Pumpkin Soup – Makes a large batch and freezes well to eat later. Creamy Vegan Pumpkin Gnocchi Soup – The perfect texture pairing of fluffy and smooth. Vegan Pumpkin Curry Soup – Super simple to make and packed full of great nutrients! Curried Pumpkin and Apple Soup – Apples and pumpkin were meant to be combined for this amazing soup. Easy Pumpkin Apple Ginger Soup – A great soup for the holiday season. Pumpkin Coconut Soup – Coconut and pumpkin go together perfectly in this delicious soup. 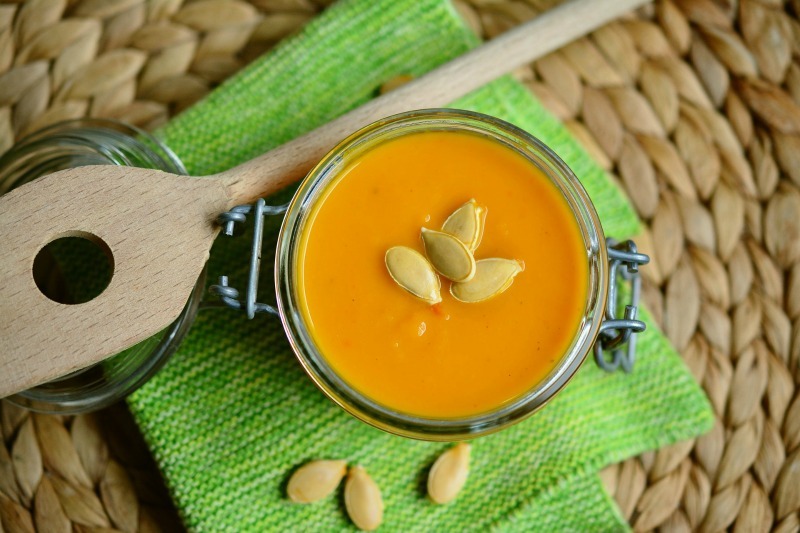 Pumpkin Barley Soup – A completely customizable soup to fit any cravings. 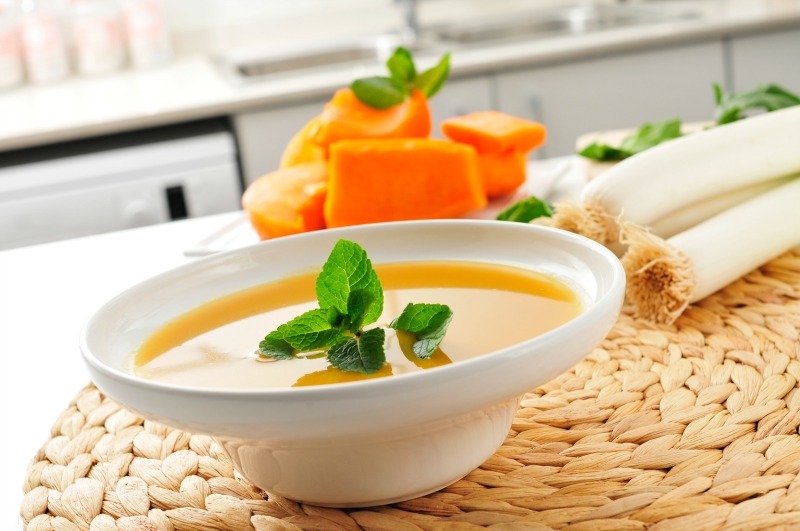 Creamy Paleo Pumpkin Soup – Delicious and entirely dairy-free. Pumpkin Cinnamon Soup Copycat – Packed full of so much flavor, it’s certain to become a favorite. Add a teaspoon of ginger to the classic pumpkin soup recipe. Apples are a great combination with pumpkin soup, giving it a tangy applesauce lift. Just add a chopped apple into the soup while it’s cooking. Try it with a little cinnamon too. One day, craving something a bit meaty, I decided to put some turkey sausage in the pumpkin soup cooking on the stove. It turned out to be absolutely delicious. OK, so maybe I have lost my head on this one, but why not? I’ve heard of chili chocolate. And since chocolate goes great in pumpkin cake and pumpkin cookies, I decided to experiment with adding chili and chocolate to pumpkin soup. I added half a teaspoon of chili powder and some chocolate shavings as a sort of garnish. I used the shavings just in case I needed to scrape them off the top of the soup if it tasted weird. Since I always have dark chocolate in the house (one of my worst weaknesses), I used my chocolate shaver to shave several thin, curly pieces chocolate off the chocolate bar. I added three or four pieces of these shavings on top of a bowl of basic pumpkin soup. The blend of sweet dark chocolate and chili was out of this world. Pumpkin-Maple Syrup Soup for breakfast? 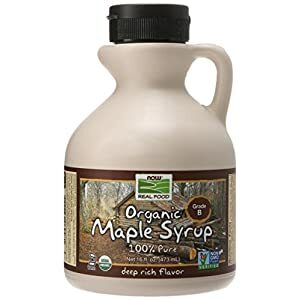 NOW Foods Organic Maple Syrup,Grade A Dark Color (formerly Grade B), 16-Ounce Have you ever tried adding maple syrup to pumpkin soup? You’ll find yourself wanting a bowl of pumpkin-maple syrup soup for breakfast, along with a hot cup of pumpkin spice coffee and maybe some scrambled eggs and toast. What a wonderful way to start the day! Other exotic pumpkin soup recipes are fun to create by adding different spices and unusual ingredients like corn, coriander seeds, bay leaves, etc. 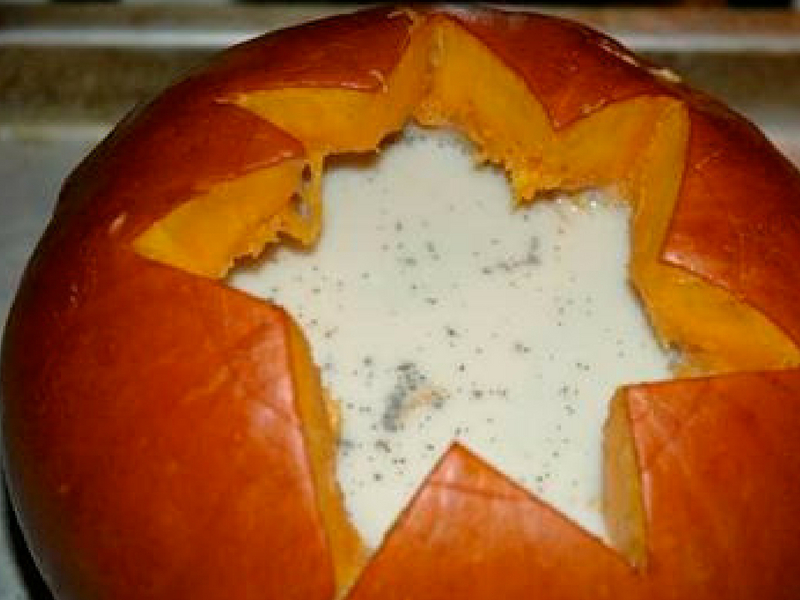 I have also heard about certain daring people adding peanut butter to their pumpkin soups but haven’t tried it yet. Anybody want to try this first and let me know how it turns out?